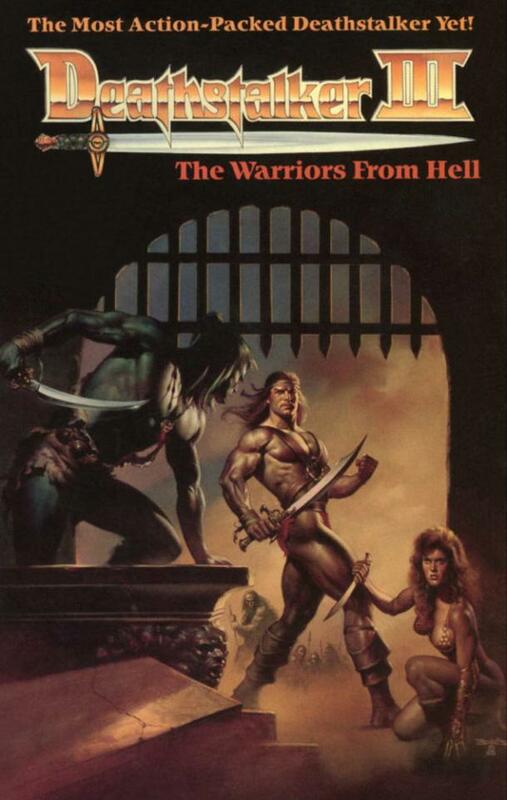 The 1988 film Deathstalker III: The Warriors from Hell is a low-budget sword and sorcery film. 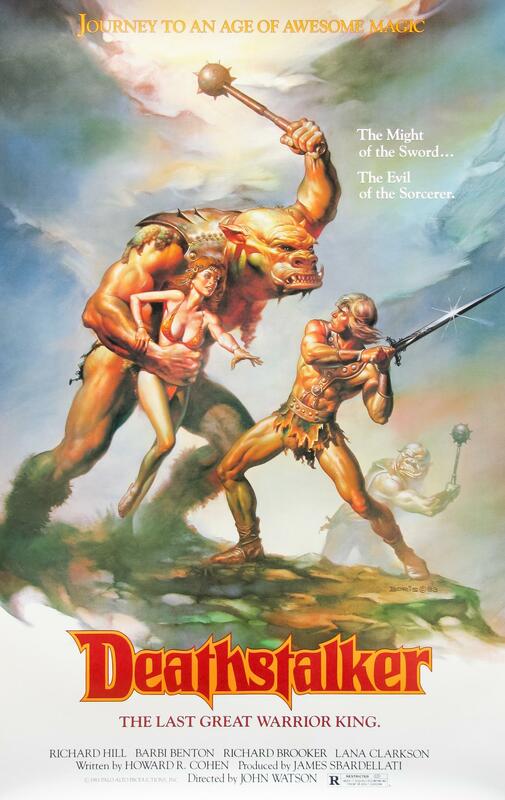 It is the third in a series of four fantasy movies (including Deathstalker, Deathstalker II: Duel of the Titans, and Deathstalker IV: Match of Titans) produced by famous low-budget producer Roger Corman in Argentina throughout the eighties and early nineties. 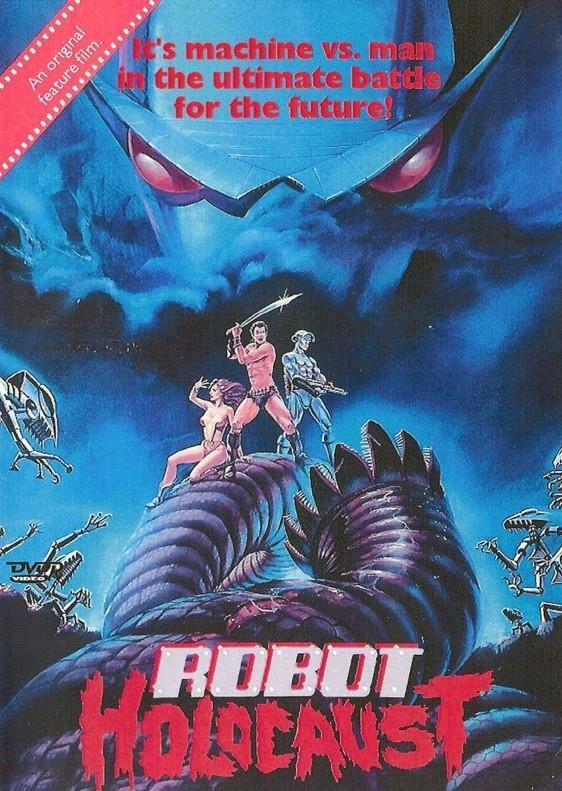 The film has since become a cult classic. 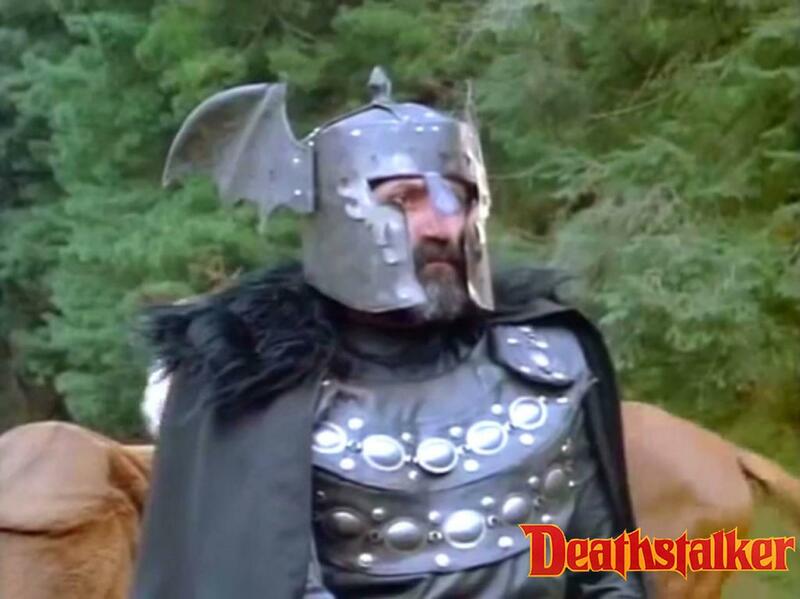 Deathstalker (played in this film by John Allen Nelson) wanders between villages with his wizard friend, Nicias (played by Aarón Hernán). The wizard does magic tricks and tells fortunes in order to make a little money. At a festival, a woman appears to ask a fortune from Nicias. This is the Princess Carissa (played by Carla Herd). She is in possession of a magical stone which needs to be united with a partner stone in order to find the lost city of Arandor. Nicias, whose lineage traces back to Arandor, does not have the stone, but tells Carissa that it is located in the realm of Southland in the hands of the sorcerer Troxartes. Troxartes sends his henchman Makut (played by Agustín Salvat) to the festival, which turns into a mass slaughter as he looks for the partner stone. Nicias disappears, while Deathstalker rescues Carissa from the attack. She is killed by a group of soldiers, however, and Deathstalker obtains the stone. Deathstalker makes the long journey to Southland. He meets Carissa’s twin sister, the Princess Elizena. Sent in order to marry the sorcerer Troxartes, she alerts Troxartes that Deathstalker is taking shelter in her room. He escapes into the wilderness, where he finds shelter with a couple of nomad women (a mother, and a daughter Marinda who is played by Claudia Inchaurregui). He develops a brief relationship with Marinda, who gives him a horse. The mother is outraged, so when the henchman Makut appears in pursuit of Deathstalker, she tips him off. Troxartes learns that Deathstalker is the one who is causing problems. The sorcerer resurrects the defeated dead in order to finally get vengeance upon Deathstalker. 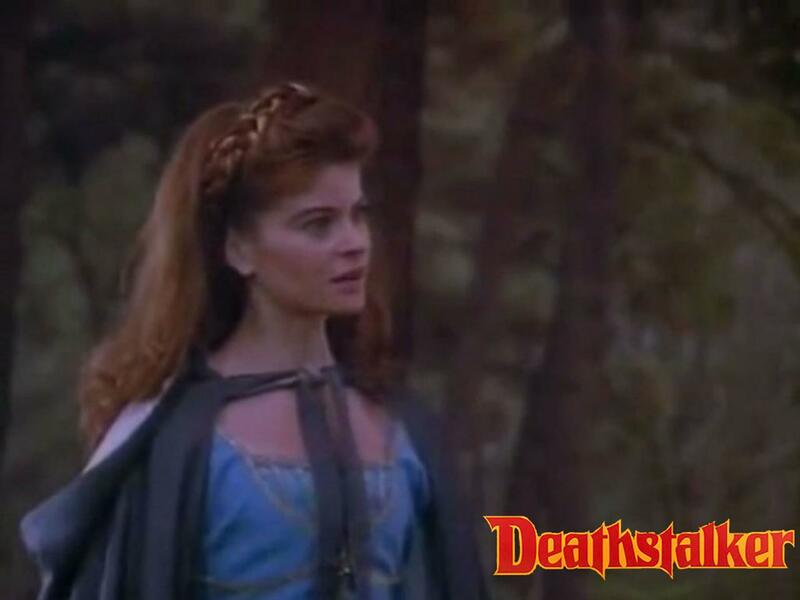 After an encounter with Princess Elizena in the wilderness, Deathstalker trails her back to Troxartes’s castle where he is supposed to marry her. Deathstalker is found out, however, and Troxartes gets the stone. The sorcerer finds that a third stone is needed to release the powers of the stones. Troxartes’ mistress Camisarde (played by Terri Treas) tortures Deathstalker to gain information, but he escapes to the woods. 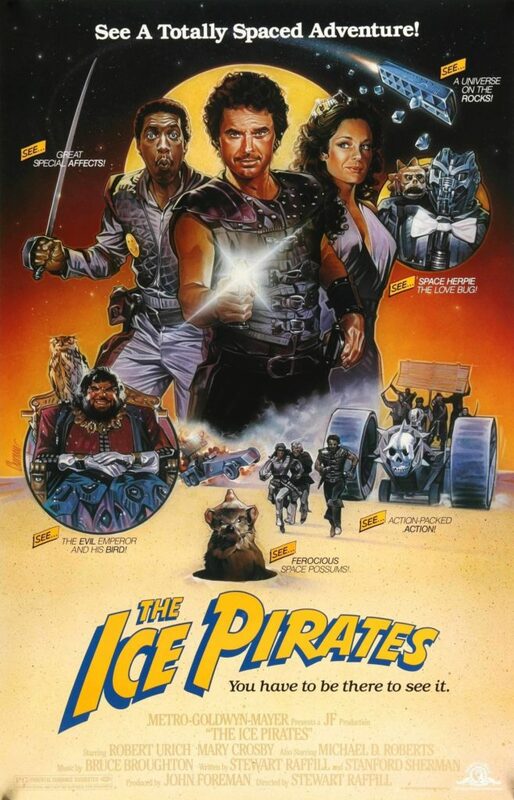 Deathstalker runs into Marinda, and a group of the warriors who Troxartes has resurrected in order to conquer him. He finds that their souls are kept in jars stored in the castle, so Deathstalker assures them that if they help him, he will release their souls. Marinda departs for the north in order to recruit more people for the attack. 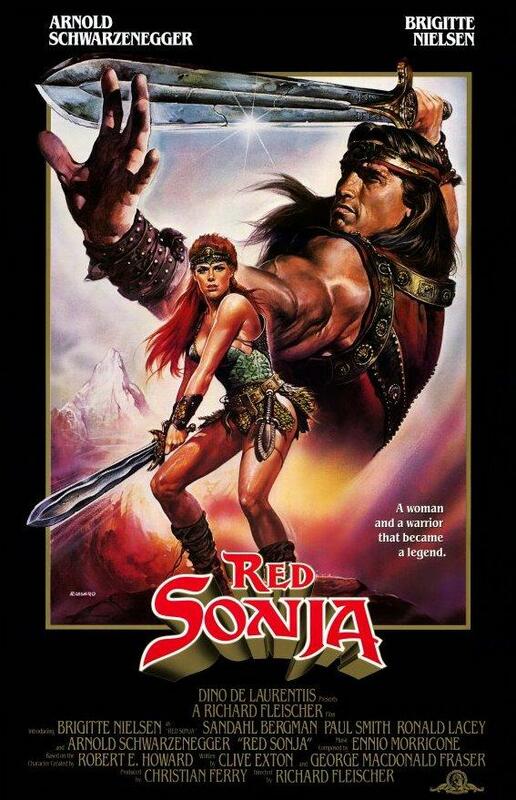 When Elizena finds out that she will be killed whenever the third stone is found, she decides to help Deathstalker. She shows him where Nicias, the old wizard, is being kept prisoner by Troxartes. The third stone is revealed to be hidden in the castle. When the reinforcements from the north attack the castle, Deathstalker releases the souls in the jars. 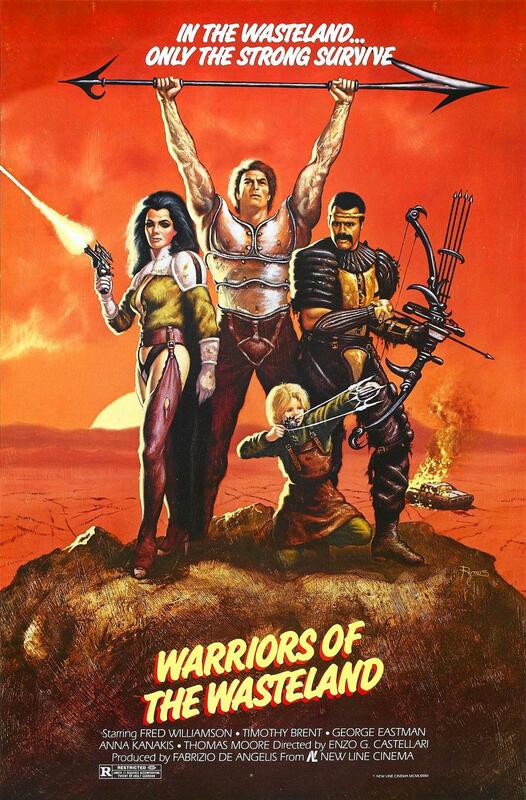 The warriors from hell attack Troxartes and his allies. In the end, Troxartes kills Miranda, then is killed in return by Deathstalker. The three stones are reunited and the ancient city of Arandor is revealed.